From Montreal to the City that never sleeps in the Big Apple. 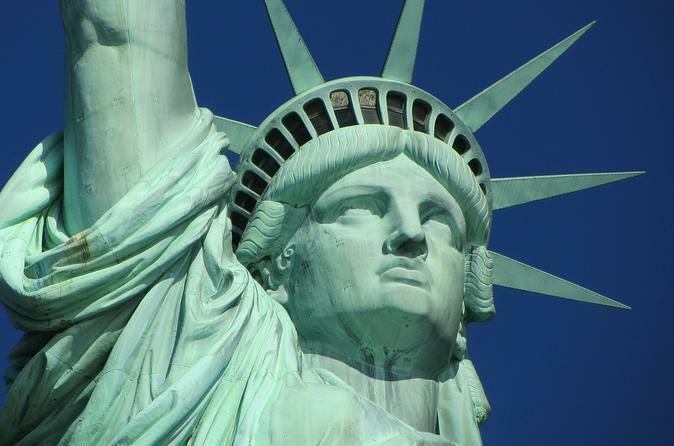 Experience New York from the Statue of Liberty to Macy's and everything in between. Your one day extravaganza includes round trip transportation by air from Montreal to New York with all airport transfers in NYC. Also included are tickets to experience the city with various Hop-On Hop-Off Double Decker loops in NY. To top it off, a meal is included at a local Times Square restaurant. Take the kids to the Empire State Building or the Intrepid, a WWII aircraft carrier that is now a terrific museum for adults and children. Alternatively, take yourself to the MOMA, the Guggenheim, the Museum of Natural History, or countless other NY attractions. Experience New York City in one full day of fun! After an early morning flight from Montreal you'll arrive in New York between 8:30am and 9:30am and then after, take a shuttle transfer to Times Square. Before noon, you'll be in the heart of Manhattan. From there, step aboard a memorable 2-hour (approximate) hop-on hop-off sightseeing tour. As the open-top, double-decker bus transports you around the city, hop on and off as many times as you like to see, smell and even taste all of the incredible things New York has to offer. On this bus tour, you'll have the opportunity to explore NYC for approximately 5 to 6 hours - go shopping, visit museums, experience a concert or theater. Alternatively, you can also stay on the bus and take the whole 2-hour loop. This tour includes a VIP lunch at a local Times Square restaurant. You can upgrade the tour to include the entrance to the Empire State Building Observation Deck, the One World Trade Observatory or the 911 Memorial Museum. In the evening, you'll meet the shuttle in Times Square and be transferred back to the local New York Airport between 6pm and 8pm and you should be back at the Montreal airport approximately at 9:30PM.